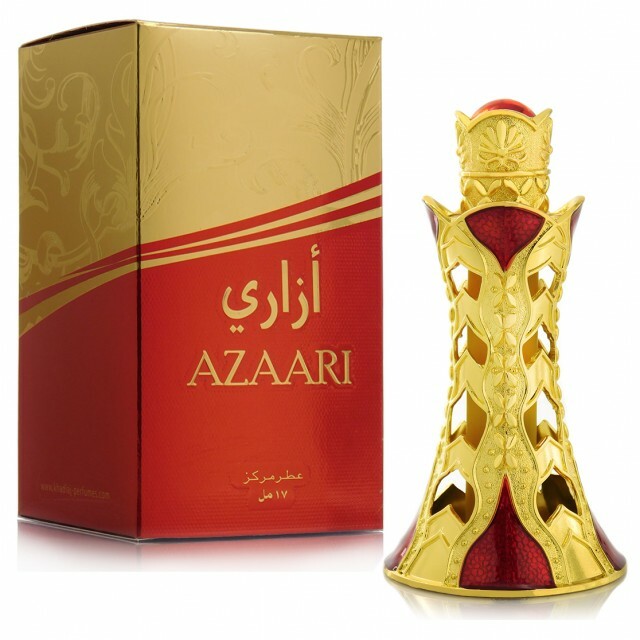 Azaari is a unique fragrance that is sweet, refreshing and uplifting. Its top note starts with sharp vanilla, citrus, amber with a gentle touch of rose and later leading to a combination of musky and woody notes. The perfume comes in an attractive glamorous bottle that makes an exquisite gift.